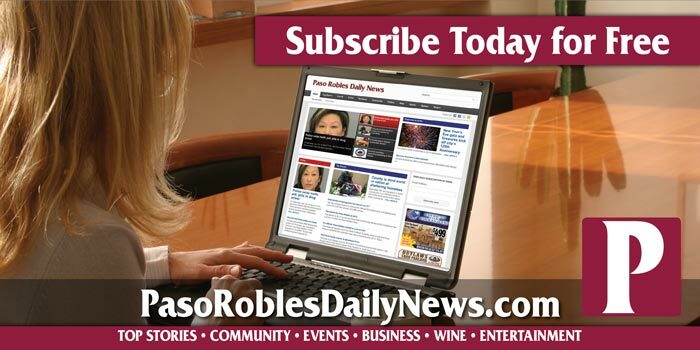 This holiday season, the Paso Robles Daily News would like to encourage community members to shop locally and support local businesses – the preferred outlet during this gift purchasing season. Did you know that nearly two-thirds of the money spent at locally owned businesses across the nation is reinvested in individual communities? 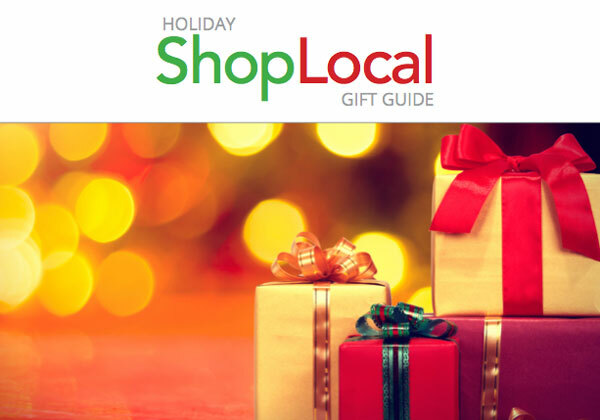 When shopping with local merchants – whether looking for that perfect gift or finding a perfect hotel for holiday visitors – more of your money stays close to home and will help support the parks, recreation facilities, libraries and other aspects of the area that make this community a great place to live. With the holiday shopping season in full swing, the following are offering their usual blend of hospitality and warmth along with extended hours and one-of-a-kind items to make this gift-giving season a jolly one. November 23 kicks off the season with Christmas and holiday lights illuminating the way to this year’s holiday festivities in City Park. Mrs. Claus will arrive and turn the light’s on downtown at 6pm, inviting all to share in the holiday joy with live music, speeches, candlelight caroling, and hot chocolate. “It’s our special gift to the community and a way for everyone to celebrate the joys of the season together,” said Norma Moye, Executive Director. 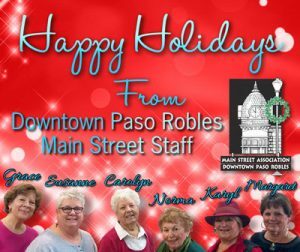 For more information, visit the Main Street Association Downtown Paso Robles Association website. Golden Oak Grill for holiday meals! Cooking everything from scratch at the grill is what truly sets this husband and wife team apart. Offering breakfast, lunch, and dinner, and keeping their overall menu simple is the secret to their success. Many who visit the restaurant have mentioned some of their favorite dishes, such as; pork carnitas chilaquiles, and cinnamon-roll french toast. 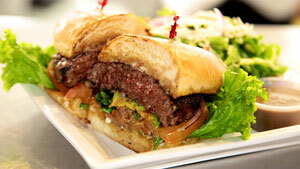 The grill is located at a487 Creation Road, in Paso Robles. Lorena Lopez and Jorge Quintero opened Golden Oak Grill in March 2015, the same year their son Tristan was born. Tristan is 2 1/2-years old, and the Grill is coming up on its third birthday. Visit the Golden Oak Grill on Sunday and Monday 7:30 am – 4 pm, Closed Tuesdays, and Wednesday – Saturday 7:30 am – 8:00 pm. Located in the Food 4 Less Center. 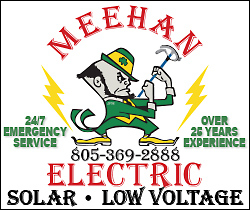 Call (805) 286-4482 for more information. 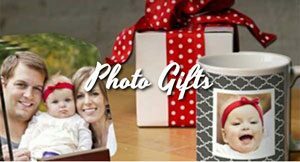 Come check out stunning design ideas for photo gifts at Photo Stop. They offer creative holiday gifts, photo books, cards, large canvas prints, custom calendars, and more! It’s the perfect time of year to schedule your family portraits. Set up your online account and receive a 10-percent off all purchases through the end of the year. Photo Stop is located at 185 Niblick Rd, Paso Robles in the Albertson’s shopping center. 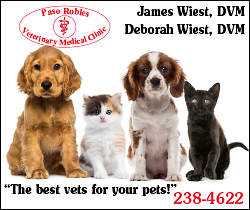 Call (805) 239-7757 for more information. The Blenders at 538 12th Street, Paso Robles is a head-to-toe fashion boutique offering everything from shoes, lifestyle clothing, jewelry, accessories and Merle Norman cosmetics, including skin care for every type of skin and a full selection of color and foundations. Locally owned and operated by the same family since 1974, the mother and daughter team, Barbara Lewin and Lori Alpert and their staff provide personal shopping attention, complimentary makeovers and ear piercing. Customers can find Holly Yashi earrings, Baggallini bags and clothing and accessories perfectly matched to Central Coast trends and seasons. The Blenders is open from 10 a.m.–5 p.m. every day except Sunday. 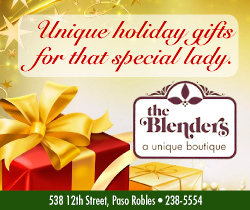 Phone (805) 238-5554. theblenderspasorobles.com. 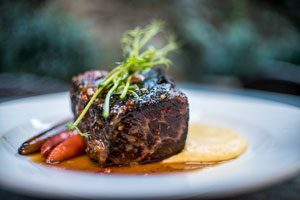 Enjoy farm-to-table Holiday dining at Thomas Hill Organics, 1313 Park Street, Paso Robles. 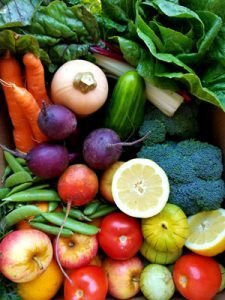 Thomas Hill Organics serves bold, imaginative dishes created from fresh, organic local ingredients. Buy a gift card from Thomas Hill Organics and get a free gift certificate for yourself! Open for lunch 11 a.m.–3 p.m. Mon–Sat. Dinner hours are: 5–9 p.m. Sun, Mon–Thur and5–10 p.m. Fri and Sat. Sunday brunch is served from 10 a.m.–3 p.m. Call (805) 226-5888 for reservations. Treat the wine lover in your life this holiday with Opolo Vineyard’s array of award-winning wines – perfect for enjoying with a loved one or sharing over the holidays at the dinner table. Looking for other gift options? Opolo has wine collections to fit every palette, from the Celebration Collection with Opolo’s Sparkling and Mountain Zinfandel, to Bourdeux Collection with three award-winning blends showcasing these unique varietals. Gift packaged and including a personalized card, gift collections can be found at Opolo’s online shop to make holiday shopping easier. If you’d rather give an experience, The Inn at Opolo provides a romantic getaway in wine country. Tucked away at Opolo Vineyards, The Inn is the perfect gift for a memorable vacation complete with luxurious rooms, made to order breakfast, evening appetizers, and wine tasting. For a more casual experience, visit the vineyard for Wine & Cheese Pairings, Estate Tour & Tastings or a relaxing lunch with Pairings on the Patio. While you are at the vineyard shop the tasting room for complete gift baskets full of your favorite wines and fun Opolo merchandise. Visiting on the weekend? Stop in Willow Creek Distillery to experience a craft spirit tasting and take home a few delicious bottles. Located adjacent to Opolo’s Barrel Room, the Willow Creek Distillery is the perfect place to sample Chamomile Liqueur, brandies and new favorite liqueur flavors. All while learning about the distillation process and getting a sneak peek on upcoming projects. 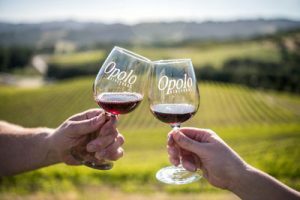 Opolo Vineyards is located at 7110 Vineyard Drive on the beautiful Westside of Paso Robles. The tasting room’s hours are: 10 a.m. – 5 p.m. For more information call (805) 238-9593 or visit the winery website or shopping site.